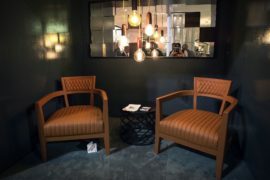 They say fashion and design are cyclic with trends repeating themselves over time. 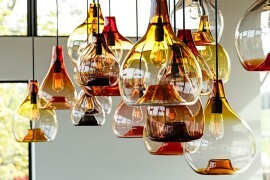 It probably show how every generation tends to detest what the previous generation considers ‘cool’. 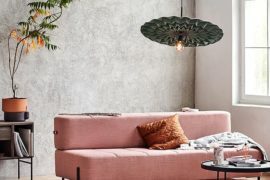 Maybe it also speaks volumes of the limited nature of human creativity and how we tend to be influenced by existing conventions and design norms. 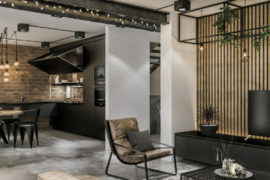 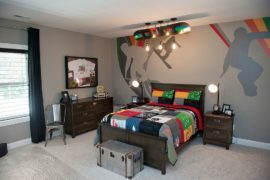 No matter what one attributes it to, industrial decorative elements have made a grand comeback in the last few years! 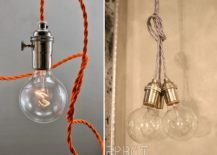 And if you love all those renovated lofts, revamped townhouses and old factory buildings turned into homes, then you will love today’s DIY inspiration – the gorgeous Edison bulb pendant! 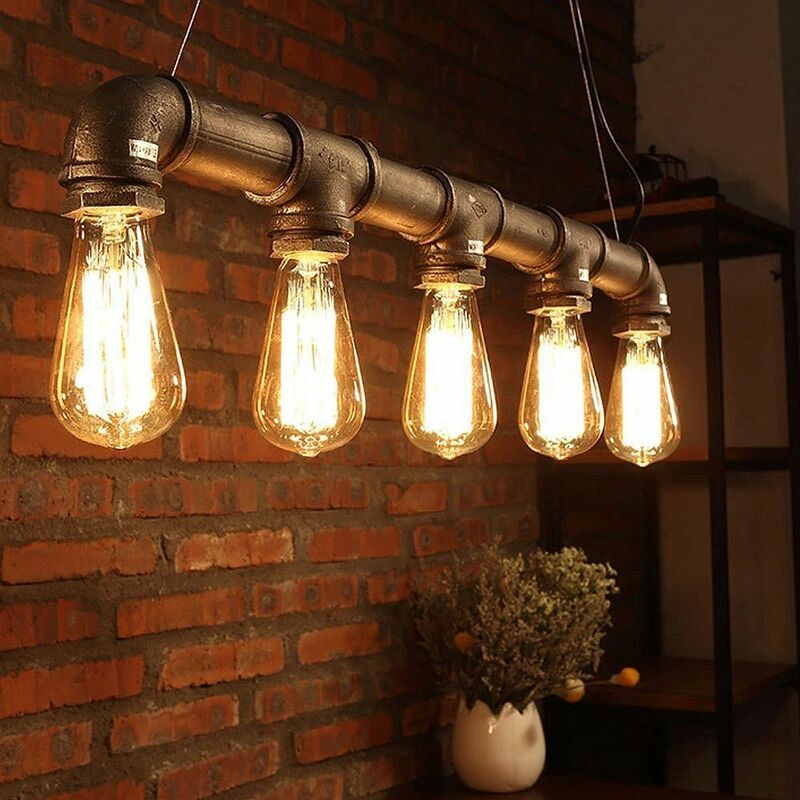 If there is one lighting fixture that perfectly epitomizes the modern-industrial trend then it is the Edison bulb light. 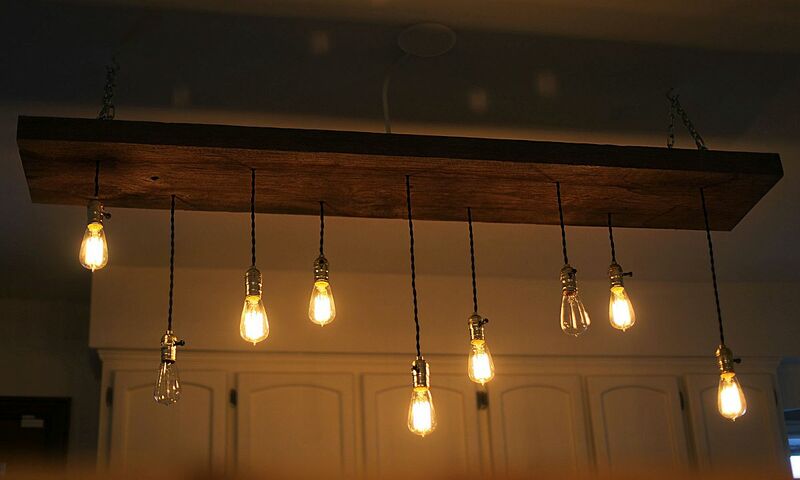 The bright and brilliant tungsten filament is no longer a relic of the past and these forgotten bulbs are now finding space next to sleek LED lighting and CFL bulbs. 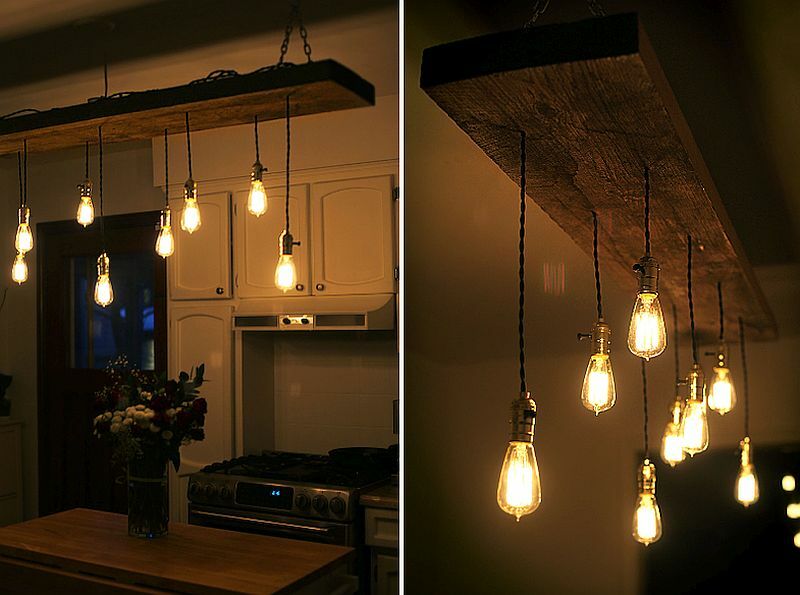 The best part about it all is how you can craft a dazzling Edison bulb pendant or chandelier without breaking a sweat! 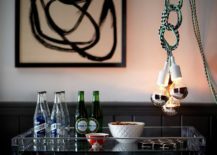 Understated, beautiful and yet striking, here is your guide to 10 hottest DIY Edison bulb pendants and chandeliers… Enjoy! One of the central ideas of crafting a hanging light fixture involving the Edison bulb is to showcase its beauty in an unabated and yet elegant fashion. 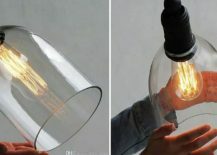 Before you start your pendant, pick up a bulb with a filament design that you absolutely love. 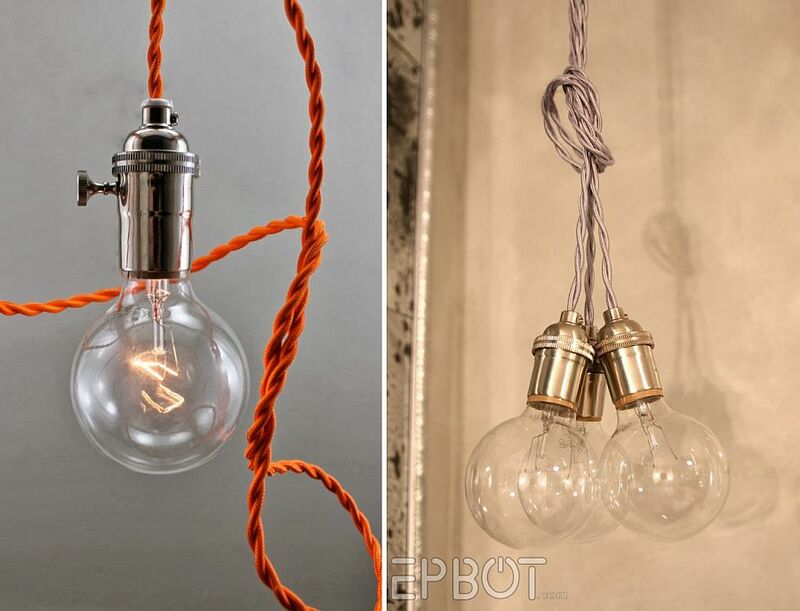 Edison bulbs come in a variety of shapes and at times you can even choose from fancy tungsten filaments! 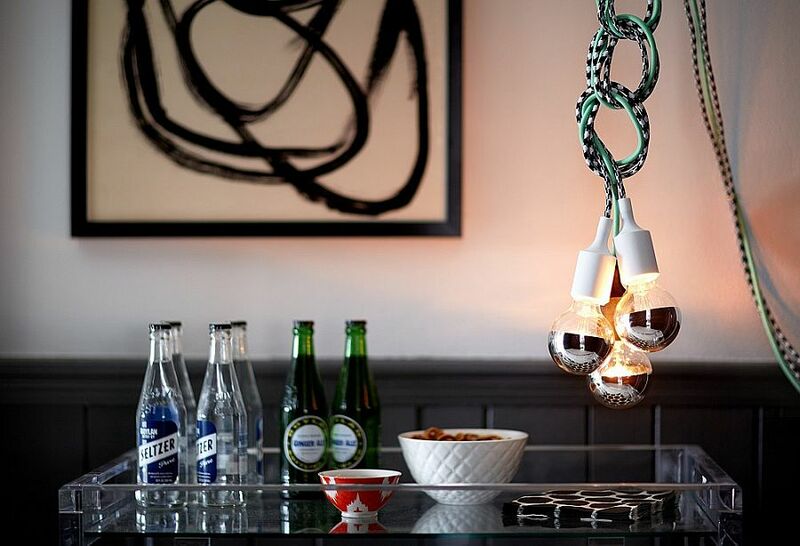 Once you have the right bulb(s), it is time to get started with the pendant. 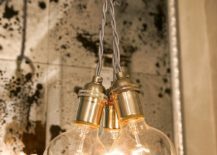 The retro industrial pendant with Glass dome that you see below allows the bulb to play the lead role even while offering you something different! 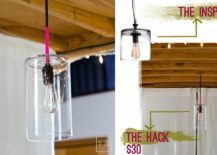 From Wine bottles to glass vases and simple jars, you can turn pretty much anything and everything transparent into an Edison bulb lighting fixture. 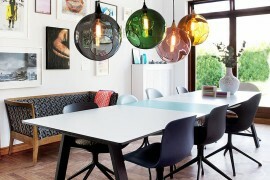 You just need the right drilling stools, some wire and a socket with metallic finish to get it done. 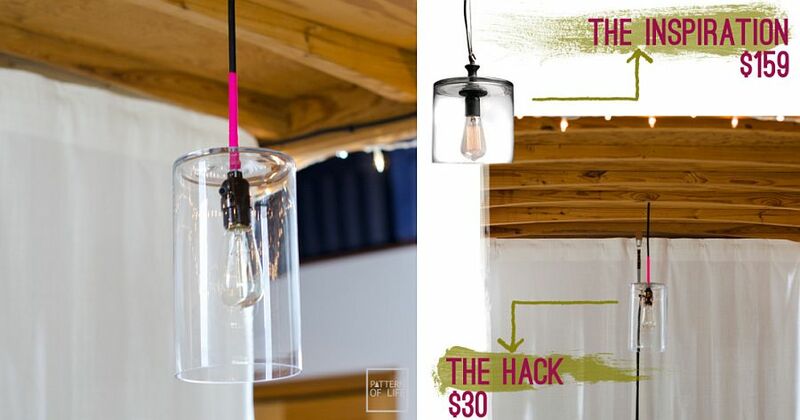 These lovely pendants look a touch more refined and contemporary than more minimal Edison bulb pendants and they also allow you to add a touch of color, for those who love something translucent and bright. 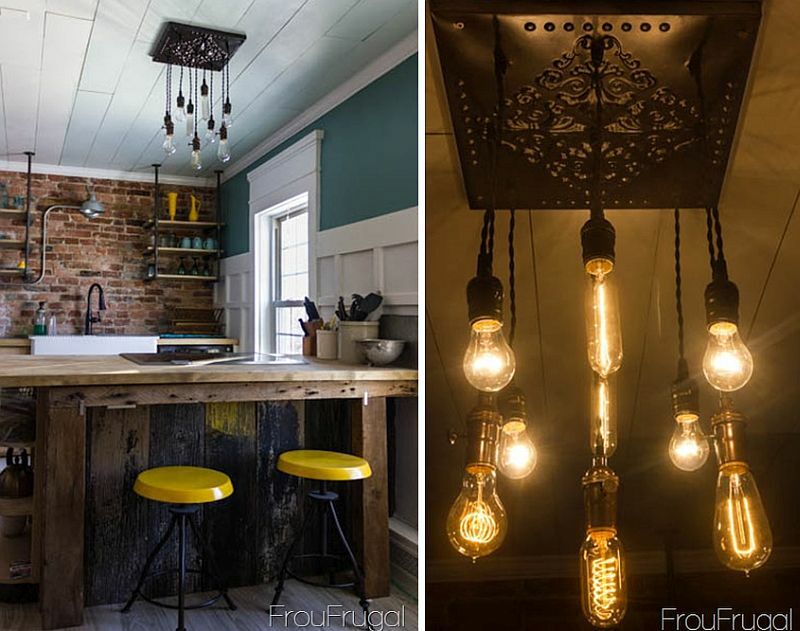 Shooting for a more rustic-industrial style with your Edison bulb light? 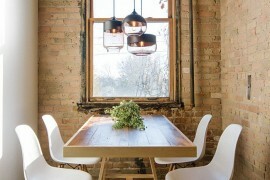 Then may we suggest a gorgeous chandelier that combines several different Edison bulbs to create one stunning piece! 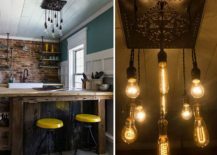 The folk at unmaintained use reclaimed lumber and a series of Edison bulbs placed at different heights to shape a stunning lighting fixture. 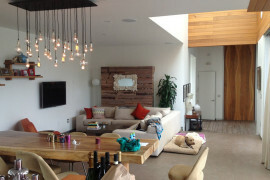 It not only is cool, but also planet-friendly! 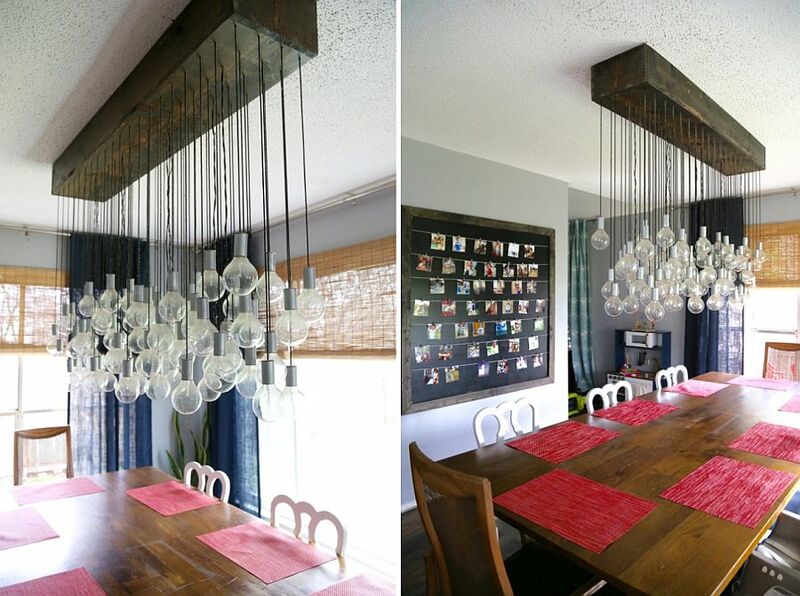 Love & Renovations takes a similar approach to multi-bulb dining room chandelier that is equally beautiful while Frou Frugal use an old metal tile and Edison bulbs for their statement piece. 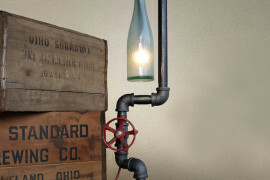 Love a blend of steampunk and industrial? 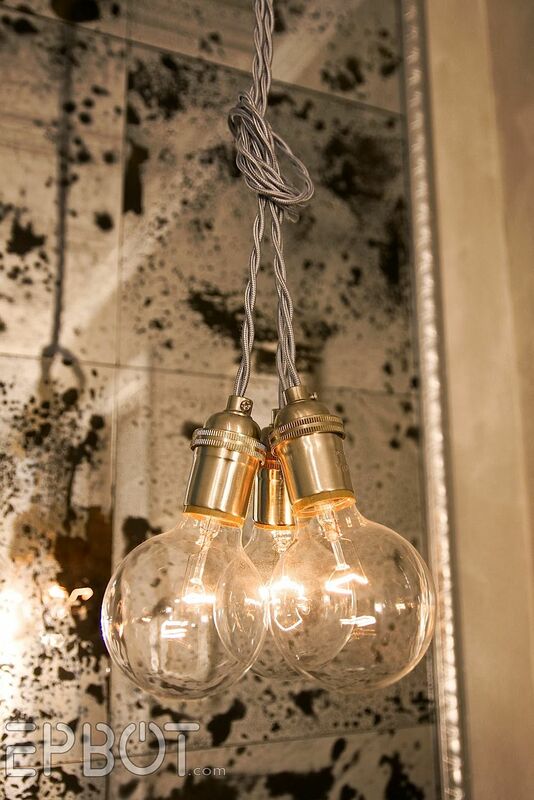 Then it is time to create a custom Edison bulb pendant with plenty of metallic pizazz! 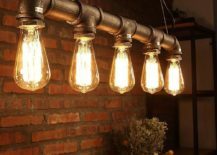 An old pipe coupled with Edison bulbs can offer an eclectic and stunning chandelier-styled lighting fixture that is bound to turn heads and steal the spotlight. 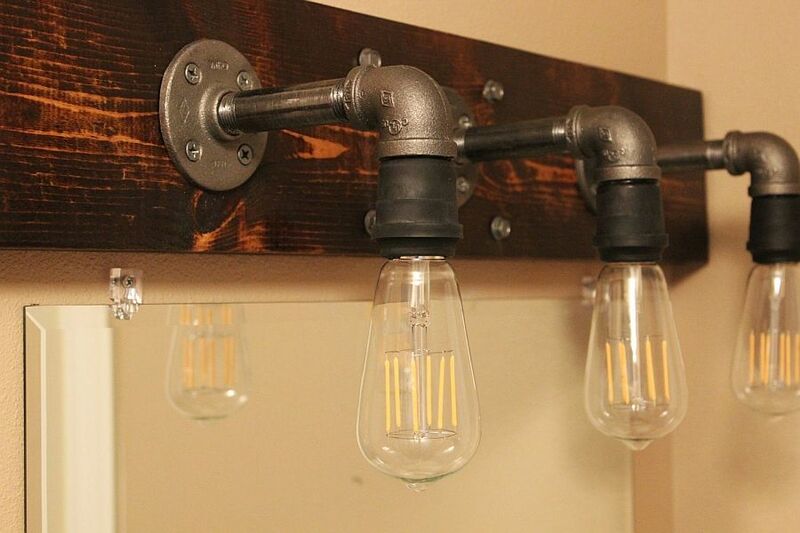 If you are looking for a step-by-step guide, then checkout the industrial bathroom fixture created by Homedit and you can tweak it ever so slightly to craft a cool pendant. 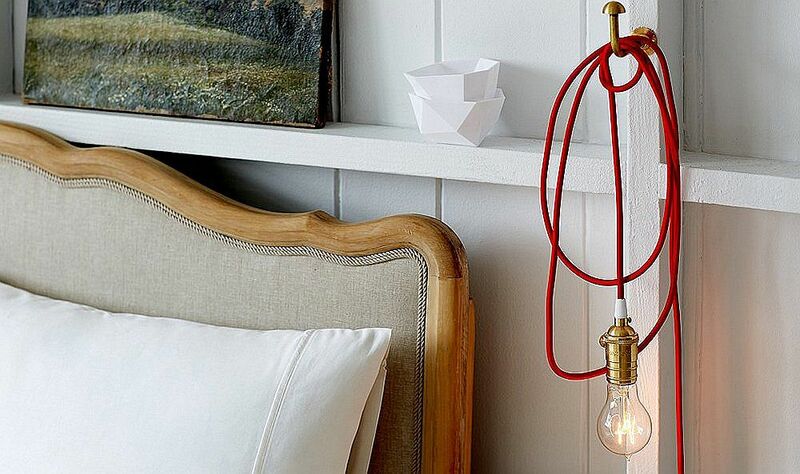 Looking for something less challenging, then a minimal Edison bulb with a brass socket is a great choice indeed.